At this step of the wizard, specify additional restore options and click Restore. To preserve the file group state. To select a file group on a target SQL server. 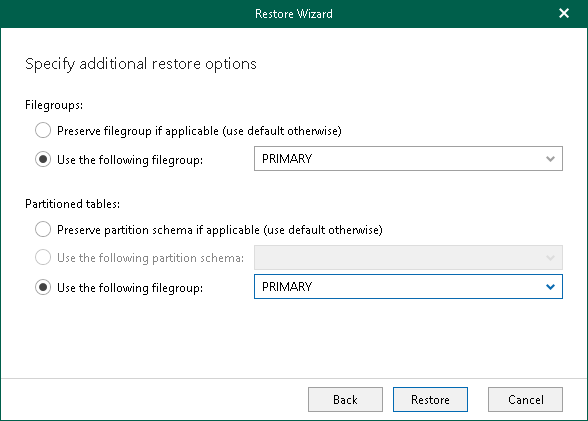 To restore tables to the original partition schema. To select a partition schema on a target SQL server.